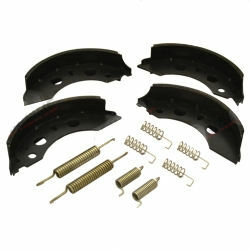 A full set comprising of four brake shoes and all springs required to complete the installation. Braked trailers must be fitted with breakaway cable. This cable will apply the hand brake if the trailer becomes detached during towing. It is recommended that it is inspected regularly, and replaced if defects are visible.